Three female judges have been elected to head the International Criminal Court. Judge Silvia Fernández de Gurmendi of Argentina is the first female president of the ICC. She will be responsible for overseeing the activities of the Registry and organising the work of its judicial divisions, as well as overseeing the Court’s relations with states and international organisations. During her three-year term, Fernández de Gurmendi will have two female vice presidents at her side: Judge Joyce Aluoch from Kenya and Judge Kuniko Ozaki from Japan. The Open Society Foundations have hailed the move, saying it “marks a significant step forward for proper representation of women in the top ranks of international justice”. 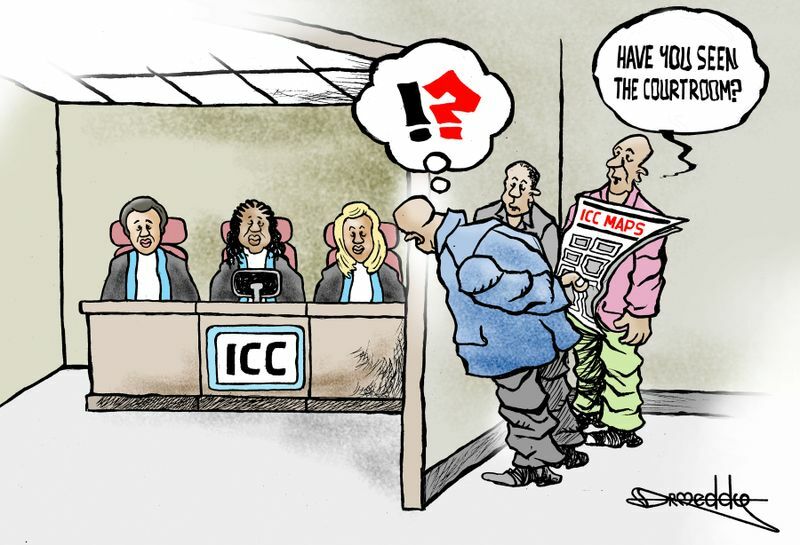 The election of the three female judges to head the ICC is notable because men outnumber women at the ICC by 11 to 6, and the six new judges who were sworn in earlier this month were all male. Dr. Meddy is a Tanzanian cartoonist who works for Cartoon Movement.